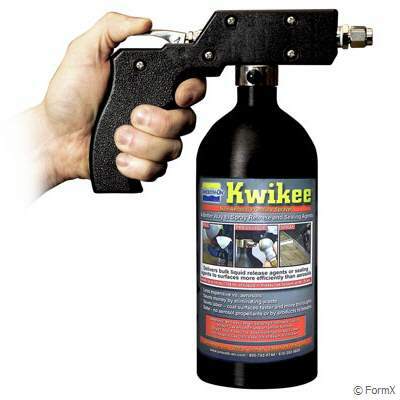 The Kwikee® sprayer is an economical alternative to aerosols for dispensing release agents and sealing agents. It is a faster, labor-saving way to cover large models or molds and delivers sealing agent or release agent in a fine mist. The durable aluminum casing can deliver both solvent-based and water-based systems without rusting. Ideal for In & Out® II concrete release, SuperSeal®, Smooth-On Universal® Mold Release liquid, Mann®liquid release systems, and more.